In 1977 when Bill Mylrea and John Stegmann organized a protest ride, what they called the “Big Ride-In”, their sole aim was to draw attention to the need for cycle paths in Cape Town, South Africa. The event attracted hundreds of cyclists including the Mayor of Cape Town at the time. The name “Cape Argus” was to come later, borrowed from a local newspaper. Social Equity, Environmental Sustainability and Financial Responsibility are front and center for the organizers of the Tour and with the first Environmental Management Plan for an event of this kind anywhere in the world, they placed themselves firmly on the map. With a number hovering around 60 participants, Cycology will be one of the largest single groups of participants at the upcoming Cape Argus Cycling Tour which takes place on Sunday, the 8th of March, 2015. In 2014, a little over 25 Cycology members took part in “Cape Argus” and all but one (who retired as the result of a fall) finished on time. In 2013, this number was just a handful. With an estimated 35,000 participants, this massive event is the largest individually timed cycling event in the world. Members of Cycology more and more make the 109km scenic and mostly uphill ride look like child’s play. With up to 4 Club rides a week, and the days counting down quickly, preparations are in top gear to not just tackle and complete this epic event within the 7 hours allowed (we got that down), but to move closer and closer to the front starting blocks. And so the seeding information is now coming in. Faster riders get to start earlier, the aim being to minimize the confusion that bottlenecks can cause with mass movement. For an avid tennis player, seeding takes on a whole new meaning in cycling. The tour boasts many firsts and numerous interesting highlights. The oldest competitor to finish in the allotted time, Japie Malan, was 92 when he competed in 2012. The oldest woman Mary Warner, was 80 when she competed in 2006. The tour, now in its 38th year, is run by a trust, for a cause. Its 2 primary beneficiaries are The Rotary Club of Claremont and the Pedal Power Association. 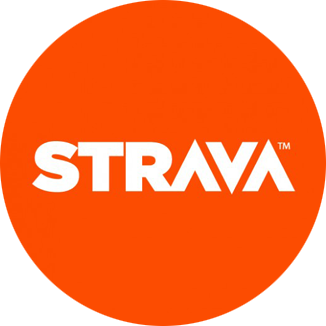 We share our rides on our Strava club group. There is also some healthy (but sensible) competition for certain segments. This group is for members only.